Home » Machinery » Ahead by a nose: How much is this oddity worth? Ahead by a nose: How much is this oddity worth? 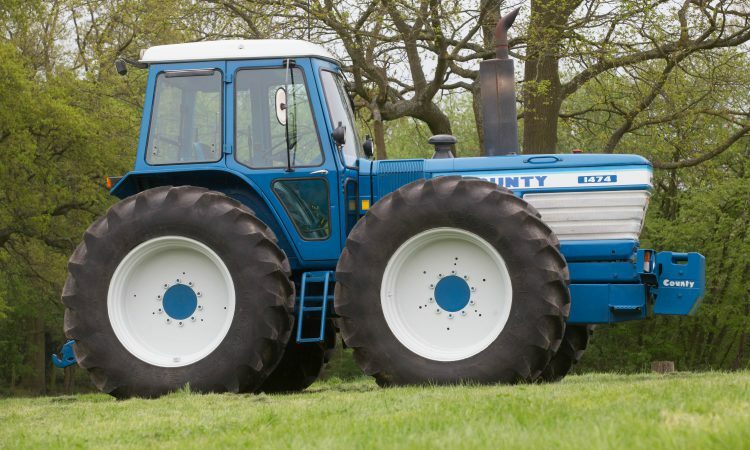 The County 1474 is certainly an eye-catching beast of burden. The ‘Long Nose’ version is especially sought-after now – by collectors of the marque. This example (pictured above) dates from 1985 – a year when Jennifer Rush topped the charts with ‘The Power Of Love’ and when Feargal Sharkey (from Northern Ireland) hit the big time with ‘A Good Heart’. 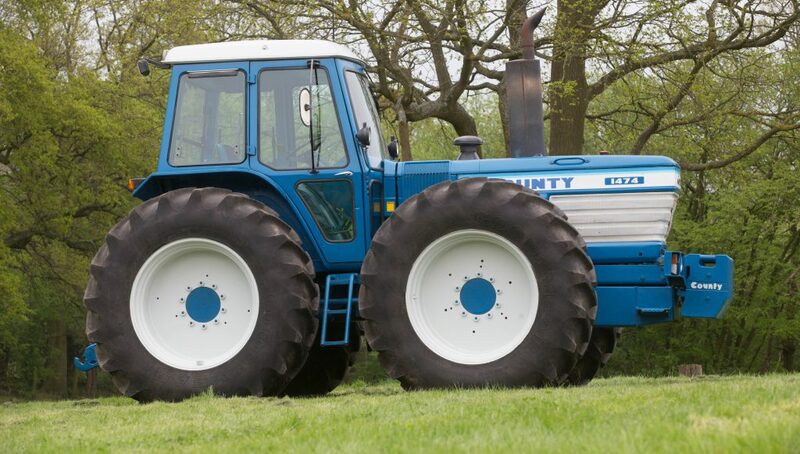 It was also an era when County Tractors Ltd was in the ownership of Shropshire dealer David Gittins. The earlier 1474 ‘Short Nose’ was developed by the original firm of County Commercial Cars Ltd, based at Fleet in Hampshire. 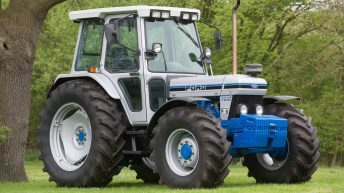 Launched at the 1978 Smithfield Show, it used the Ford 9700 skid-unit with a 153hp turbo-charged version of the 401S engine. Within a year, the 1474 was up-rated to TW-20 specification with a larger flywheel, an oil cooler and a new twin-entry turbo-charger. It was fitted with the ‘F-type’ flat-deck version of Ford’s straddle Q-cab. In 1982 the 1474 cost £20,597, which was a considerable sum of money in those days. The outlay meant that most customers opted for the cheaper 1184 TW (pictured below) instead. Few 1474s were sold on the home (UK) market; it is believed that the original company (which went into receivership in February 1983) built less than 40. 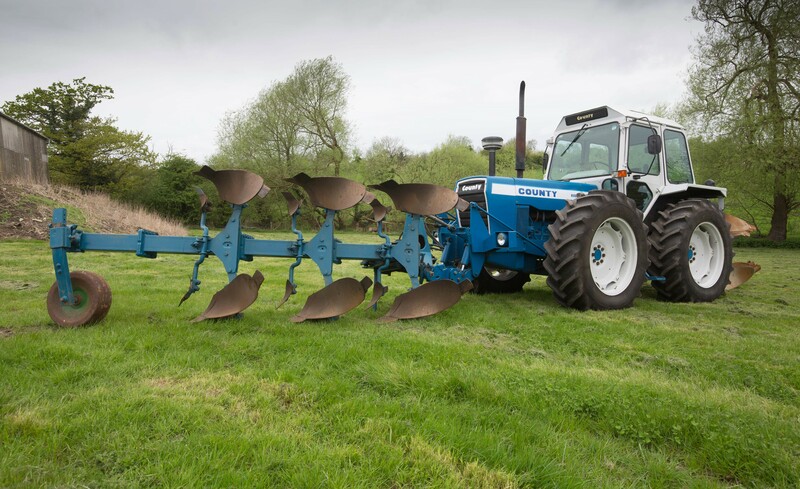 Under David Gittins’s ownership, the 1474 was revamped to take advantage of the new Ford TW-25 skid-unit and launched in March 1983 (with its power upped to 163hp). At the same time, the model was re-styled to match its more powerful 1884 sibling, with the same ‘Long Nose’ bonnet hiding the oil cooler and a larger fuel tank. In 1987 County became part of the Benson Group with production relocated to Knighton in Powys. Benson sold no more than three 1474s, while production of the tractor under David Gittins was also very limited. Consequently, the ‘Long Nose’ version remains a rare beast. It is believed that only six examples are in existence. 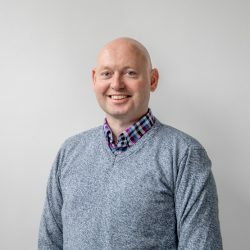 The example featured here is being offered with 16 original County front wafer weights; it’s shod on Goodyear 20.8 R38 wheels and tyres all-round. 4,172 hours are showing on the clock. For the record, its serial number is 49157. It’s part of a collection that’s owned by UK-based tractor enthusiast Paul Cable. The whole collection is due to go under the hammer (in individual lots) this Saturday (May 12) in England. 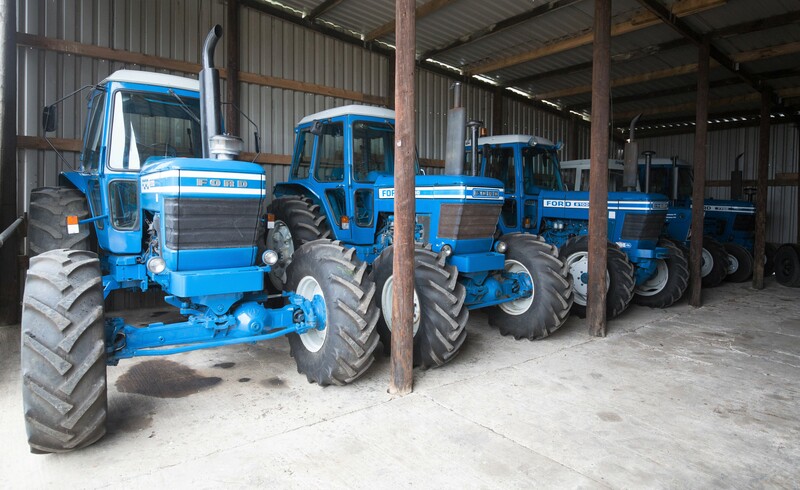 For more information on this auction (and to hear Paul Cable talk about his extensive tractor collection) click on this link.